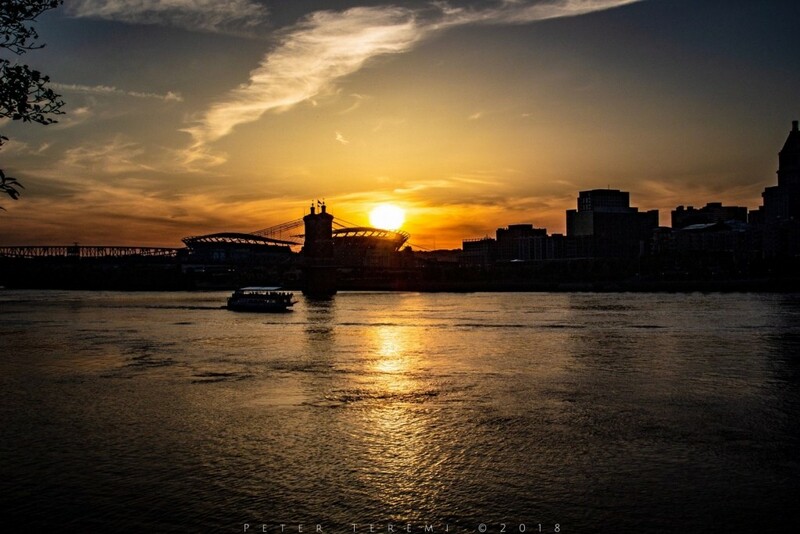 A riverboat, seen here on a sunset tour in silhouette, cast against the Roebling Bridge and Paul Brown stadium. A beautiful end to a beautiful day! Happy Murphy-Cam!